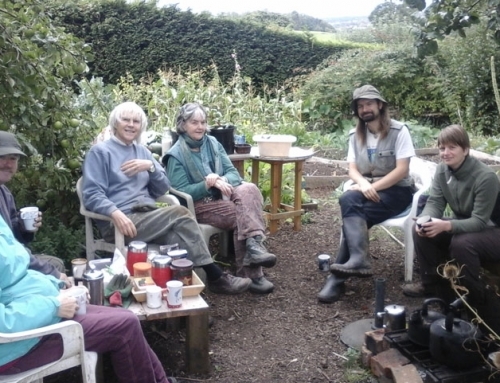 Down to Earth Stroud and Transition Stroud organisers, Amanda Godber and Jane Brown, announce another successful Potato Day on Saturday 2nd February 2019. After snow, the sun shone on the Farmer’s Market as we settled into our new home. As other stall holders well know, the cold creeps through the layers, but our volunteers gave a warm welcome to a record number of folk buying seed potatoes and taking locally saved seed from our Community Seed Bank. The day positively buzzed with seedy enthusiasm! 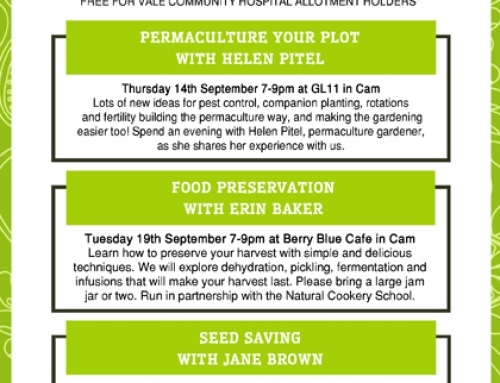 Thank you especially to Gerb, the market organiser, Dundry Nurseries for our potatoes, Norah for the potato lemon drizzle cake, Radio Gloucester and, of course, Strous News & Journal informing readers of our event. Thank you to everyone who braved ice and snow to support us in promoting a healthy life on this amazing planet by encouraging ‘Grow your Own’, local produce and reducing food waste. 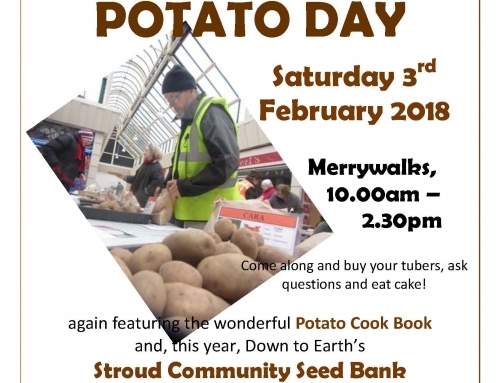 “May the wind be always at your back, may the sun shine warm upon your face; the rains fall soft upon your fields and until we meet again – Stroud Potato Day – always the first Sat in February – May your potatoes and seeds grow abundantly! 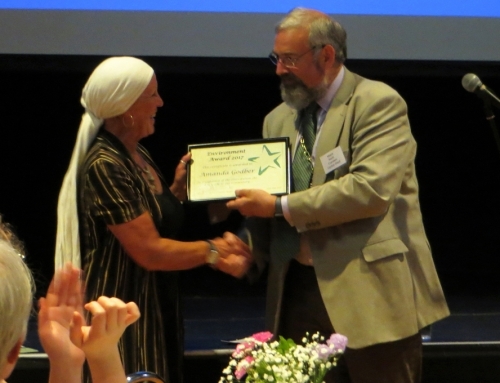 (modification of gaelic blessing). 2018 Stroud Potato Day another great success! 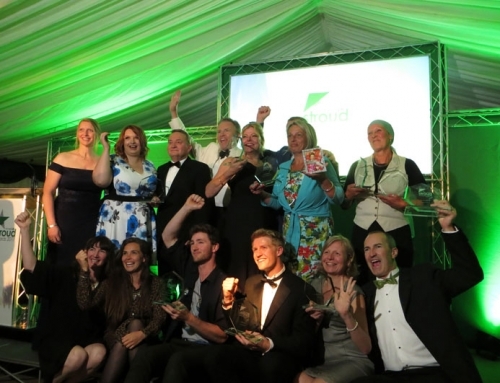 Stroud Life Business Awards double award winners! 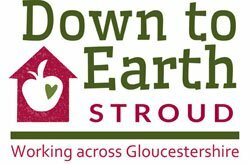 Down to Earth Stroud is supported by Stroud District Council.